As the White Party gets older, is the same thing happening to the crowd? No one really knows for sure. Most believe it's not an event for the over-50 set, though there are many that age who do attend. No matter what the party-goers age is, this weekend all eyes are on guys, regardless of age. Perhaps the most-talked-about line this week comes from the Desert Sun: "The variety has as much to do with satisfying the wants of party goers in their 40s and 50s as well as those in their 20s and 30s, as much as it’s creating a weekend of events as diverse as the gay community itself." What exactly can you make from that? Isn't the White Party an event that goes to the wee hours of the morning, a time when most fifty-somethings are in a deep sleep, which is one activity that twenty-somethings simply don't do this weekend? This weekend the snap judgements about age simply don't work, but that doesn't mean that the issue isn't the one most talked about by locals all over town. The real question everyone's wondering about is: How old is old? In this town, the answer isn't what it is in the hipster inner core of most cities--old here...is, well, way past seventy. Old there is forty. It's all relative. 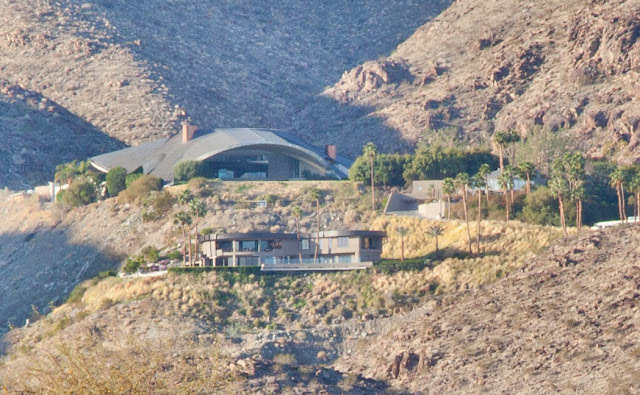 After years of contemplating the creation of a gallery of my Palm Springs images, I've finally got a good start. Here's the new Palm Springs Photography Gallery. 1. Microstock Photos of Palm Springs--These photos can be used for a variety of purposes from using them online for websites and social networking posting to print publications. 2. 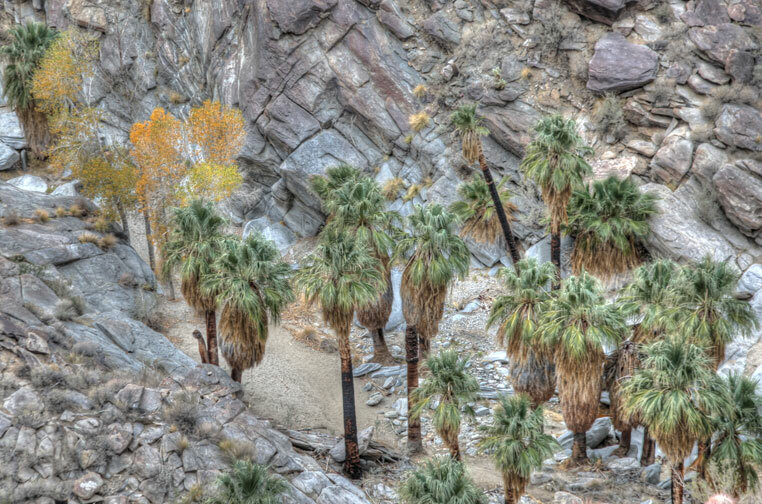 Fine Art Photography Photos of Palm Springs--These photos are for your home or business. The selection is being added to daily. Take a look! Small world it is...Desert Sun's feature story is about filmmaker Lise Swenson. 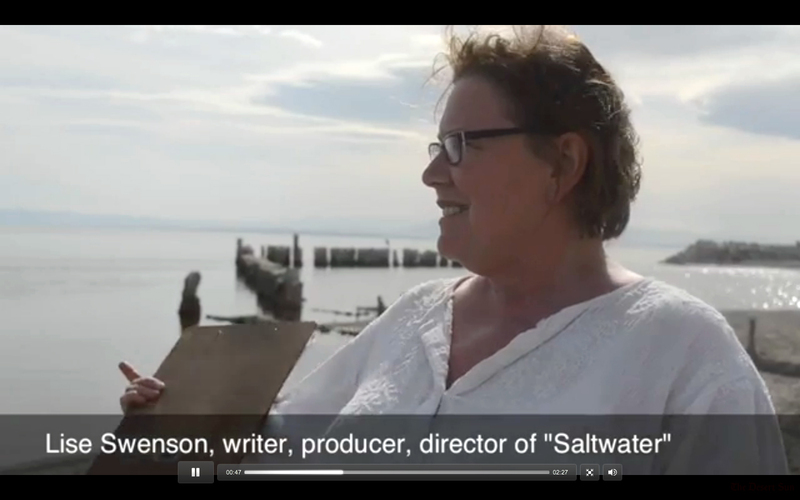 Just who is Lise Swenson and why is she filming a movie set on the Salton Sea? Swenson lives in San Francisco and has been a professor there for a number of years. In fact, I had her for a video production class in the 1990s. Her teaching style is one that focuses on getting her students deeply involved in the projects or production roles that they choose, either in her films or their own. Today, Swenson has recruited a number of her college students in San Francisco to assist in making the film taking jobs ranging from actors to videographers in a film about a woman whose life is compared to the barren political hot potato known as the Salton Sea, which is about 50 miles southeast of Palm Springs. Imagine Salton Sea's history from a body of water produced from by accident from water in the Colorado River to the its dubious state today, one of California's most debatable environmental issues used as a metaphor for a woman's life. Residents and tourist alike take a break from Palm Springs chic by taking a visit up to Pioneertown, the home of the Western movie set. Photographic finds like this Chevy make the trip extra special. There are other such nostalgic elements scattered among the old Western faux storefronts, like the Pioneertown typewriter. The eating place in town is Pappy and Harriets where a good selection of bbq dinners are served in a old Western atmosphere. Place has got a pool table and bar and can get somewhat rowdy at times (so I hear), but I've never seen any brawls during my several visits to the place. This place is great in the summer because of the altitude, not to mention the occasional summer concert and/or music events that take place there during that time of year. 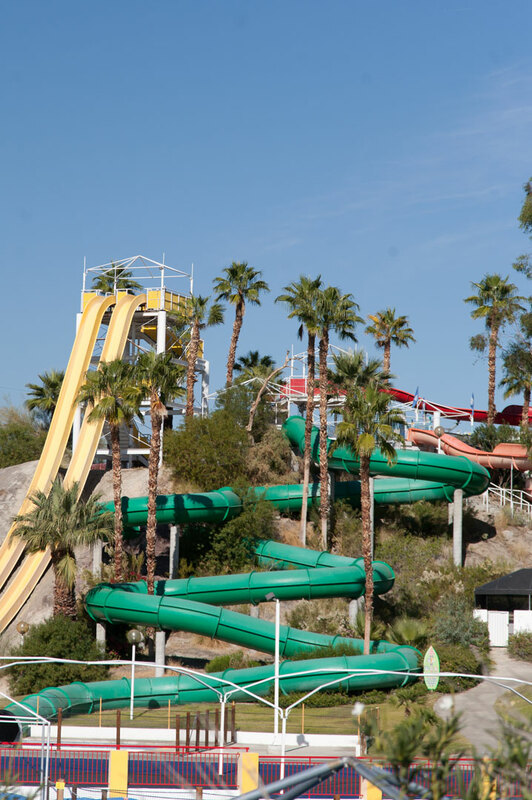 After being closed during Palm Springs mild winter season, Soak City Park is setting up to open tomorrow, March 9, 2013. The park attracts a diverse group of families and is managed by a great group of young people (my nephew worked there). My jogging route takes me past the Soak City about two times a week when the weather is cool (never in summer when the place is packed). Behind the park is Tahquitz Creek Golf Course with a great view of the Bob Hope House, and the great jogging/walking trail that runs from the golf course to a driving range near Dinah Shore. Soak City has a giant water slide that zig-zags down the slope of a large hill. The attraction also has a fitness center, which I hear is pretty good.